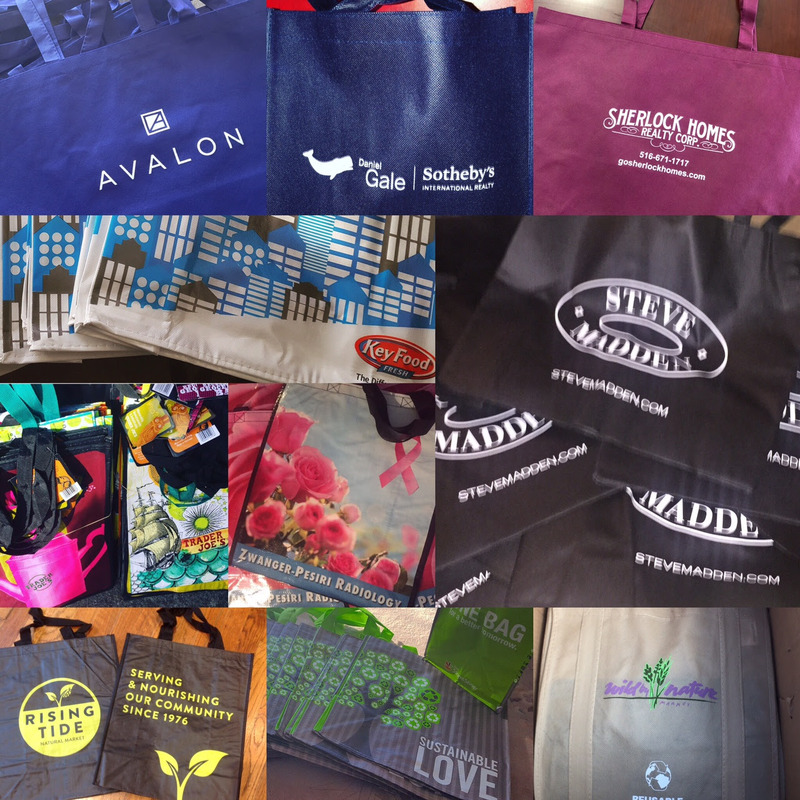 Today we are making the last deliveries of reusable bags to local charitable organizations for holiday distribution. 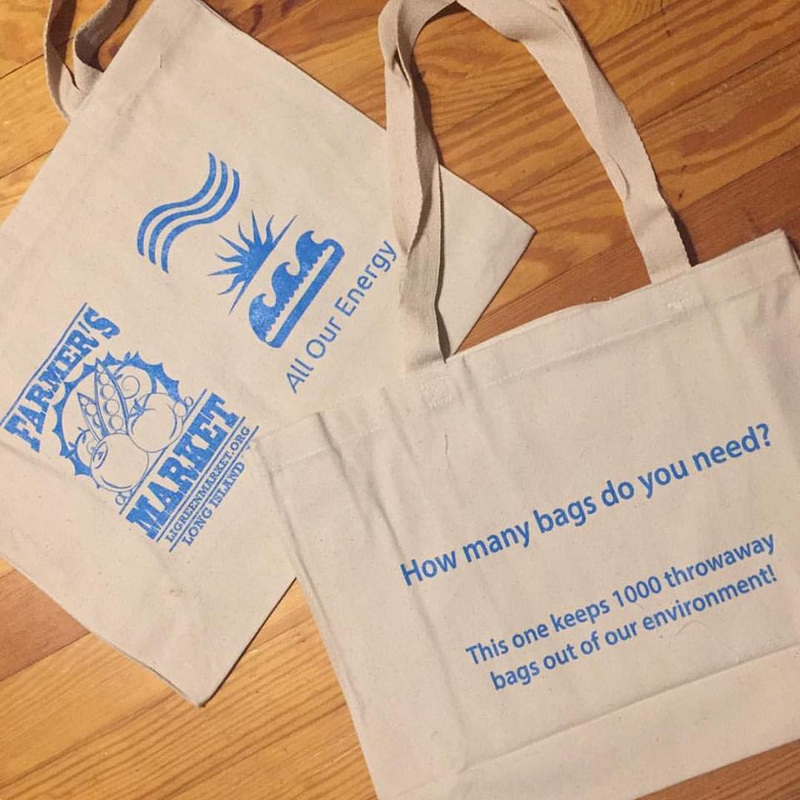 This campaign raised 900 reusable bags from local establishments to help low, moderate, and fixed income families, neighbors and friends own reusable bags. Thanks to our volunteers who made the contacts, asked for donations, picked them up, attached reusable bag education information, and delivered these! They go where they were needed most and will help everyone bring their own bag from now on. We want to Thank our reusable bag donors: Steve Madden, Rising Tide Sea Cliff, Sherlock Homes Realty Sea Cliff, Daniel Gale Sotheby International Realty Sea Cliff, Trader Joe’s Oceanside, Wild By Nature Oceanside, Stop n Shop Long Beach, Key Food West End Long Beach, Zwanger Pesiri Radiology Lynbrook, and Avalon Towers Long Beach. They’ve donated their company’s reusable bags to avoid needless throwaway bag pollution, and get reusable bags in circulation, and have been an invaluable part of this transformative change.. Thank you to our Reusable Bag Donors!! They’ve donated their company’s reusable bags, so when organizations in Nassau deliver holiday meals, we will help them avoid needless throwaway bag #pollution, while giving everyone the means to be a steward of our environment and to bring their own bag. Can your business help us provide bags for more meals to be delivered in this year? Contact us now to be part of this transformative change and donate your company’s reusable bags! Did you see the beautiful Sea Cliff artwork by local artist Lori Pappas featured on our “Bring Your Own Bag Sea Cliff” reusable bag? Don’t you just love that mermaid??!! Support our campaign with an $18 donation (or 2 for $30) and get a high-quality, grocery size, washable, foldable, reusable bag. Proceeds help expand our public education campaign to eliminate needless single use “throwaway” bag pollution. Each time you use it, you do that, and you show your support to become a reusable bag society. It folds up into that little package that makes bringing it everywhere a breeze, so you can always avoid needless single use plastic pollution! Email me at george@allourenergy.com to get yours. As part of our continuing efforts to eliminate needless single use bags, we were busy this weekend! 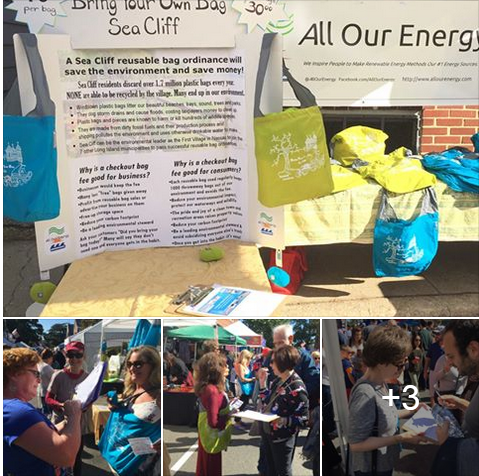 At Sea Cliff’s Annual “Minimart” town-wide street festival, our volunteers collected over 600 signatures for our petition asking The Village of Sea Cliff to become a reusable bag culture. We also launched sales of our reusable bag fundraiser with A-mazing Sea-Cliff-Centric art By Lori Pappas. Of course, anyone may donate for these high quality, shopping size, machine washable reusable bags that fold right up into a little pouch so you never have to forget your bag again! Thanks to our team – Lori, Tina, Karen, Lorraine, John, Amy, Joan, Neda, Iris, and Joanne for helping make such a big impact, meeting so many new friends, and getting word out! Also – a big thank you to Tracy from The Creative Arts Studio of Sea Cliff for hosting us and putting us on the map!! Our high quality, machine washable reusable bags arrived and are out in the community. Thank you to all our donors and to Georgia Meckes at LI Greenmarket, our high quality, grocery size, machine washable reusable bags went out this week. Much gratitude to Liz Nachman and all who helped, and to All Our Energy’s volunteers and crowdfunding partners who got this done! Additionally, we were able to leverage approximately 600 more standard reusable bags during this time from other sources which also went out. filling a huge need that is still out there. As promised, we are following through to make sure the Long Beach bag ordinance is a success- so everyone can bring their own bag- and be a steward of our environment. Thank You to everyone for your continued help and support! Is plastic pollution bringing you down? 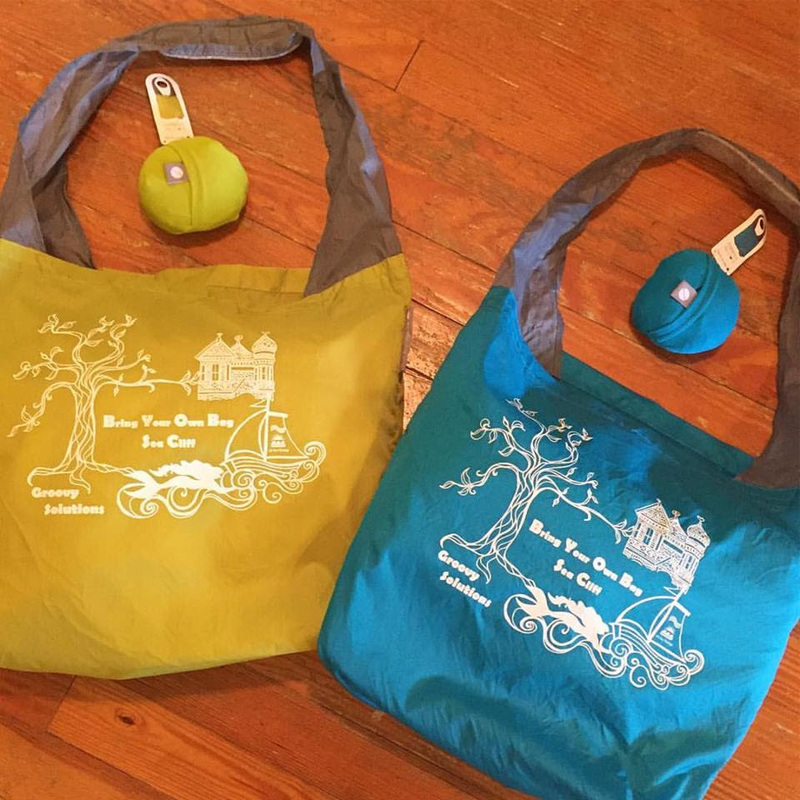 We launch our campaign to take the success of our reusable bag campaign beyond Long Beach! We succeeded on the reusable bag campaign with your help in Long Beach. Thank You! Would you like to work on it in your town, too? We are launching a bottom up, grassroots campaign in localities in Nassau. Volunteer members who join the All Our Energy team, can act to build and expand the campaign in their local community with us, and we will empower them to help push the campaign locally. Plastic pollution getting you down? Please take a moment to sign our petition to the Village of Sea Cliff, NY Here and then share it to help launch this campaign to success! Want to join the team or work in your municipality? Please go to allourenergy.com/volunteer and click on the appropriate boxes in “Reusable Bags” you can help with! Together, we will do great things!! PS- We are doing amazing and very needed work. We thank our volunteers and donors for making it possible. Please support us to involve everyone in the transition to renewable energy, fight climate change, and act locally on environmental issues like getting rid of plastic pollution. 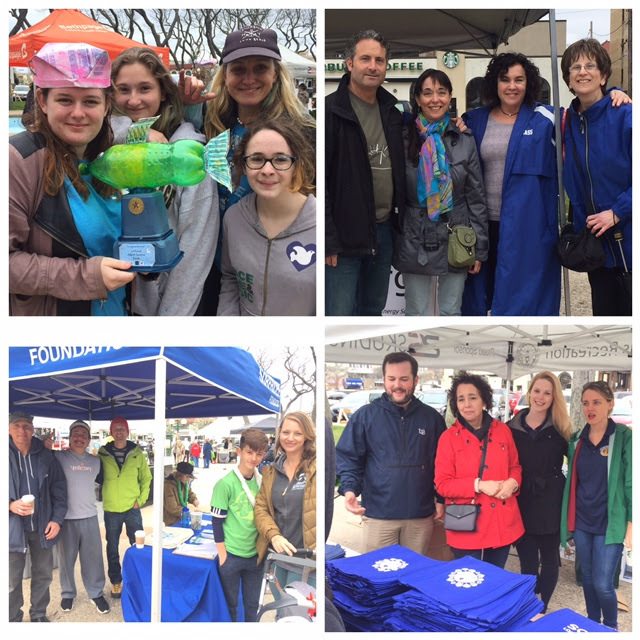 What a well attended and fun Earth day in Long Beach! Hundreds of people joined for the Jellyfish Jamboree Parade and the events at city hall as the bag law took effect. Thousands of bags were given away, and more are going out through city channels now. Though a few are complaining about the bag law going into effect, the reports we have gotten back from actual retailers who do business are that the public reaction is much better than they expected and most people understand. We witnessed many, many people bringing their own bags shopping this weekend with smiles on their faces. We remain committed to seeing city bag giveaways reach their intended targets and to addressing issues ourselves, and just delivered over 200 bags our volunteers sourced directly to seniors and organizations who otherwise might be left out. The Long Beach checkout bag law takes effect in just 3 weeks!! We are preparing for the festivities around it. Our volunteer team has been going door to door to merchants to help them with the transition to reusable bags, partner with them for any questions and concerns they still have, and find solutions for bag giveaways. 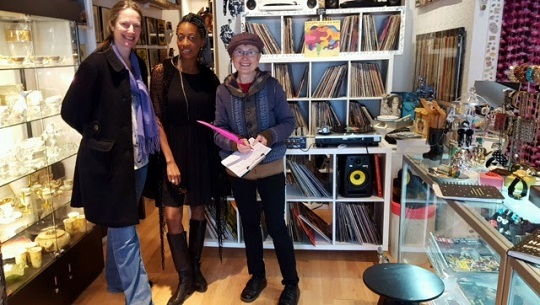 Susan and Joanne are pictured with Natalie Dangerfield (center), owner of Random LB. Also helping have been Jo, Karin, Karen, and Stacy. Thanks for your work to get this done! A Big THANK YOU to those who have already donated! 5. easy to transport and remember to bring. We are going to fill that need with your help, and with Earth day events coming up, we need bags to give away so everyone can bring their own bag and be a steward of our environment and proud member of our community. If we can give out 1000 reusable bags it eliminates 1 million checkout bags. Together, we do great things. I thank you for your support! LONG BEACH, NY – July 19, 2016 – The BYO Bag LB campaign and over 125 supporters rallied at City Hall before the City Council’s meeting, requesting that the city take action on single-use plastic bag pollution. They debuted over 2,512 signatures from residents, visitors, and business owners in support of city action. A mural of reminder easily wrapped around the plaza: 500 plastic bags tied end to end -the average person’s annual usage. The first speaker was Finn Ashmead, a high school senior who started a student petition and acquired hundreds of signatures, which inspired another dozen students to do the same. “This ordinance is a very simple step we can take to reduce our local pollution, and make Long Beach a much cleaner place”. “I am here as a City Council Member in support of a reusable bag ordinance,” City Councilwoman Eileen Goggin said. “I am committed to making this happen”. Council Member Anissa Moore also pledged support for bringing the community together to solve this problem. City Council President Len Torres also spoke in favor and then brought the sentiment in to the city council meeting where he spoke of taking action on the issue.